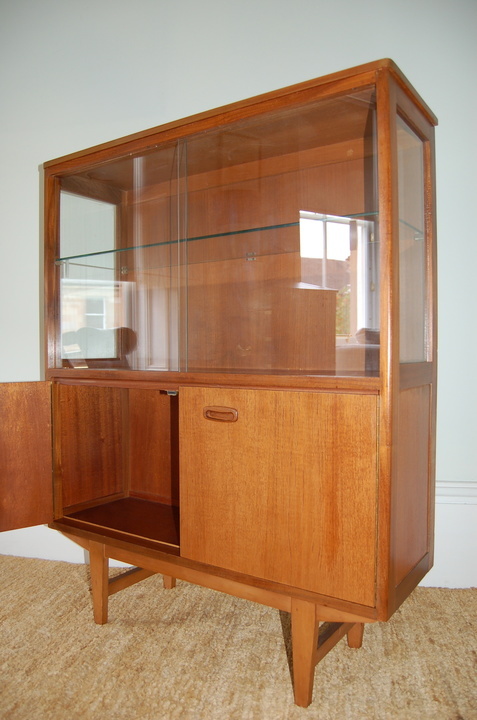 A simple but stylish cabinet from the 1970's with glass doors and shelf over a two door cupboard. 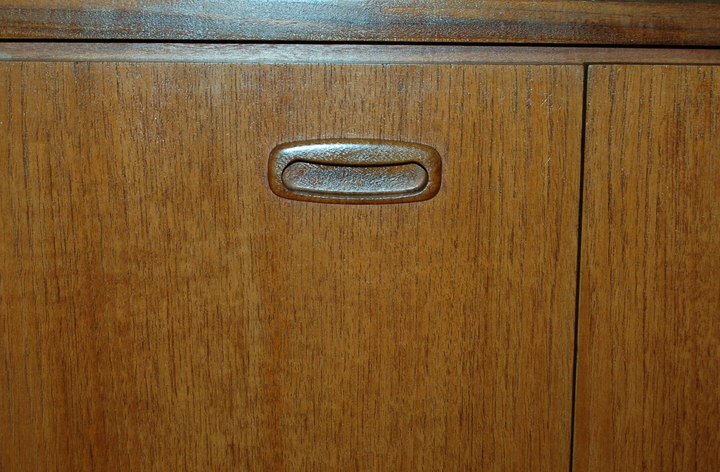 G-Plan or Nathan style but no label. 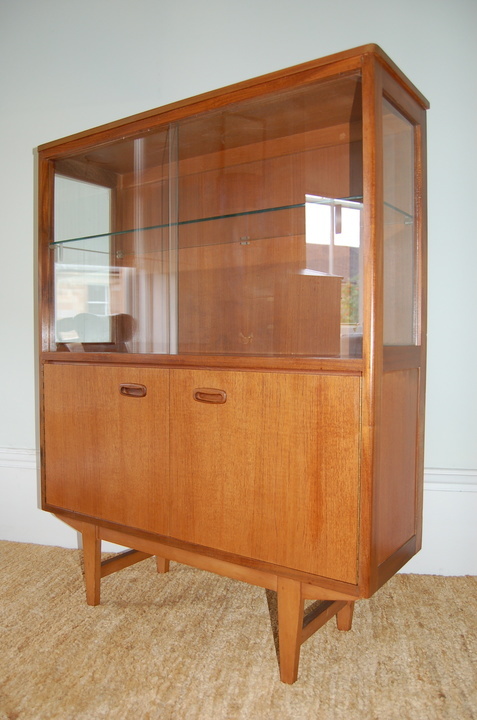 A neat addition to any room - for books or to display lovely mid-century homewares. Would make a great drinks cabinet - bottles underneath the glassware on display.